The most famous chamber of commerce in the world was established in 1921 to promote both Hollywood businesses and the community at large. Today, in addition to awarding the celebrated “Walk of Fame” stars, The Hollywood Chamber of Commerce hosts several meetings and events to support the cultural and civic well-being of the city. 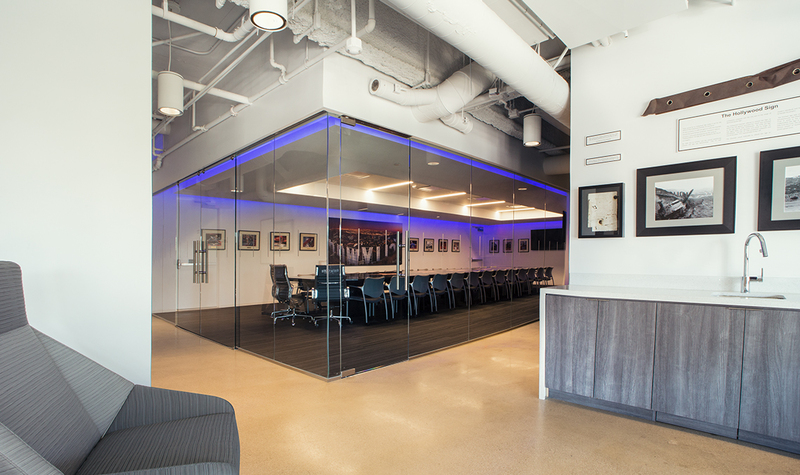 After 25 years in its previous location, The Chamber needed a modernized space that honored the past while representing the modernity of its LA surroundings. 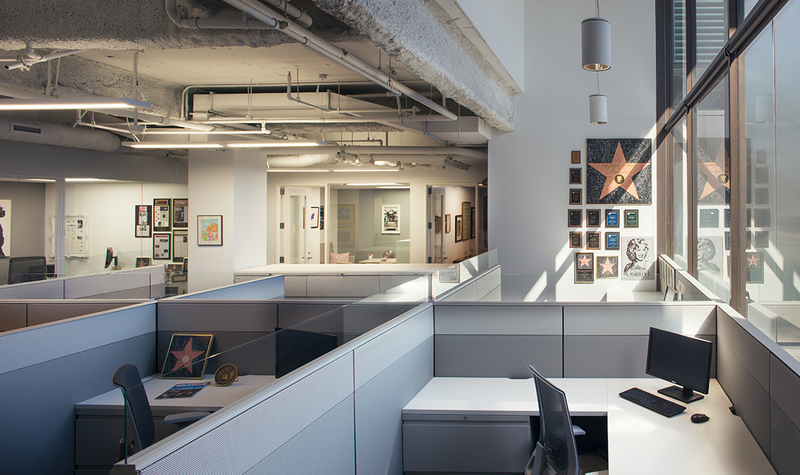 A storefront office at Sunset Media Center, where Kamus + Keller serves as architect of record, proved to be the perfect heart-of-Hollywood locale to support their refresh goals. 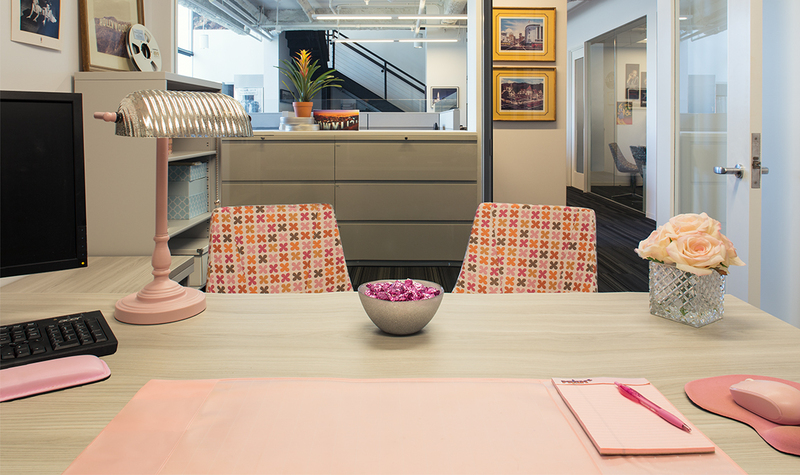 The 4,056-square foot split-level office needed thoughtful space planning to accommodate The Chamber’s busy event requirements, as well as its day-to-day operations. The first floor is a combination of low-level workstations that encourage collaboration, and glass-front offices allowing for employee privacy and personalization. 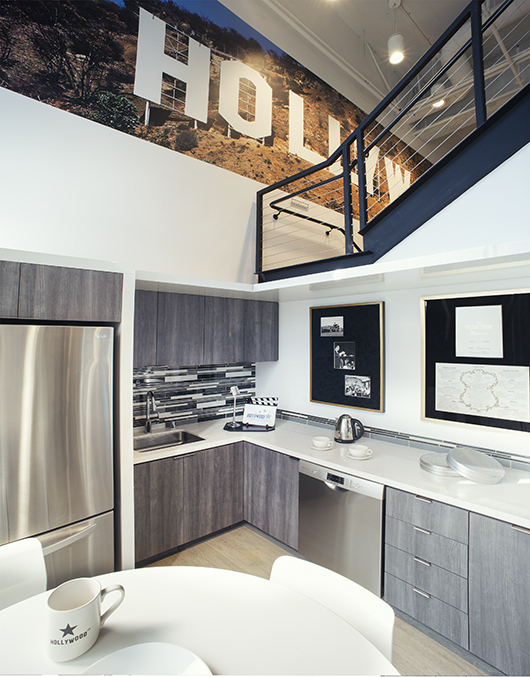 A small breakroom is efficiently tucked beneath the sleek concrete and steel staircase. The clean white and gray color palette, exposed ceiling, and wall of windows emphasize the space’s contemporary look. 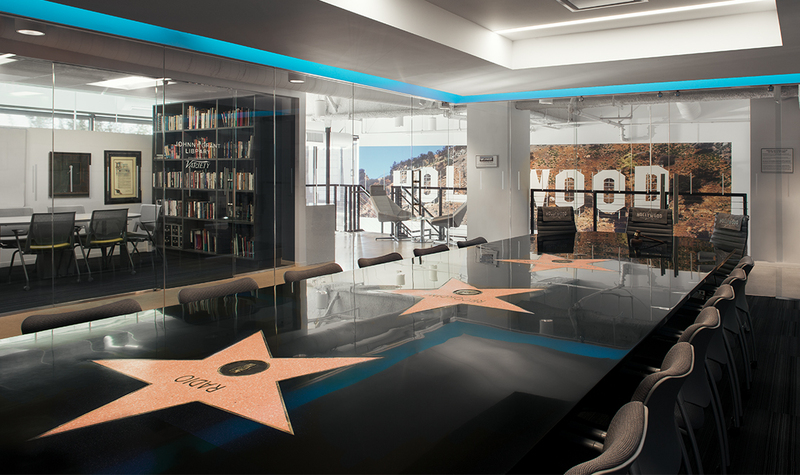 The mezzanine level features the heart of the organization: a dramatically-lit conference room showcasing an immense, custom-built table embedded with full-size Walk of Fame stars. Directly opposite is the Johnny Grant Library, a conservatory of hundreds of books and documents on the history of Tinseltown. 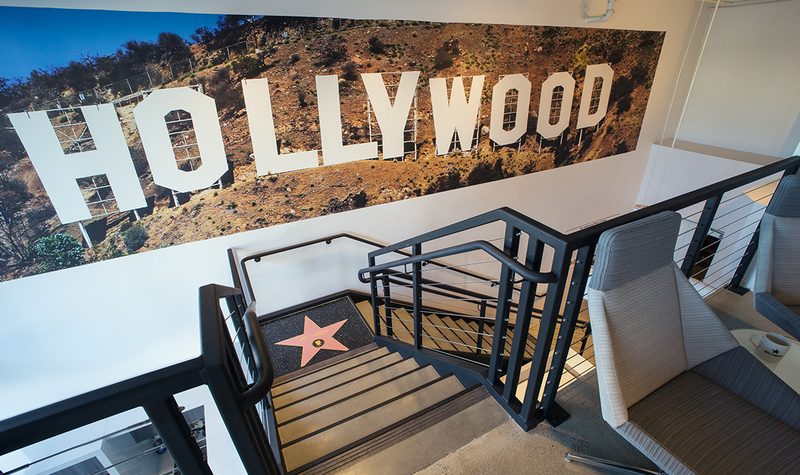 And viewable from both floors is a bold supergraphic of the iconic Hollywood Sign emblazoned across the office’s front wall, a reminder of the vital preservation work to be done for the renowned city.